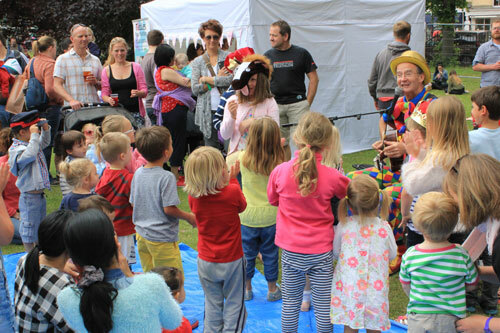 The perfect entertainer for the younger children either as walkabout or shows. 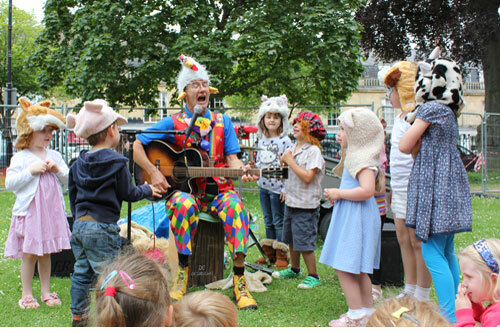 Clients include Wychwood, Severn and Wye, Cinderford Music, Cheltenham and Swindon Food and Drink, Cheltenham Music Festival, Cheltenham Literature Festival, Rovin Fest, Montpellier Midsummer Fiesta, National Play Day Pittville Park. 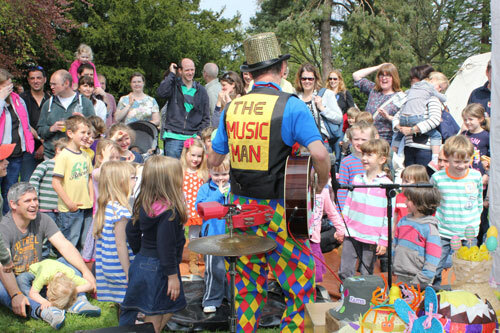 The Music man is proud to have been performed for charities including Sue Ryder, Meningitus Trust, and James Hopkins Trust. Walk about and shows. Events compered. Clients include Sacred Hearts, Nazareth House, St Marys infants, Bettridge School, Longford Village.